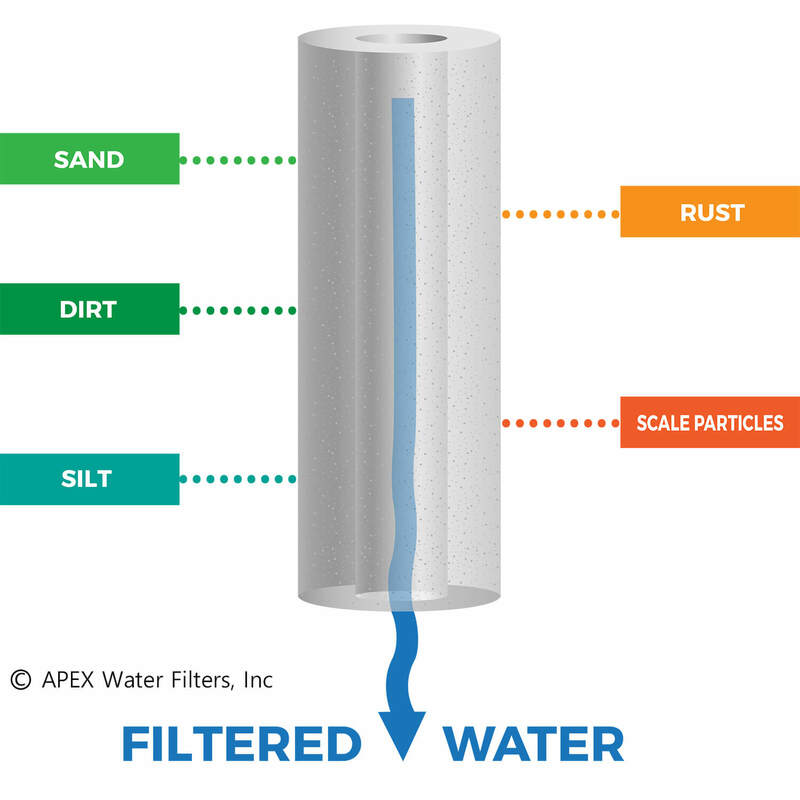 20″ micron polypropylene sediment pre-filter to extract suspended materials such as sediment, rust, insects, and other particles down to 5 microns. This cartridge also extends the life of other, more expensive cartridges and prevents damage. 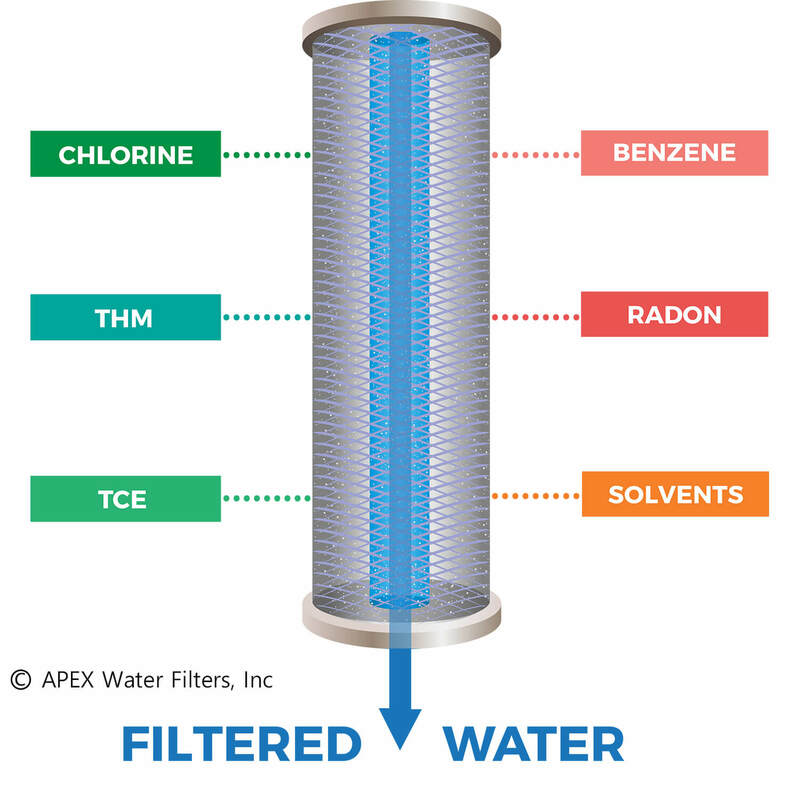 The multi-stage 20″ filter that consists of a one-micron filter pad, KDF85, Granular Activated Carbon (GAC), and another 1-micron pad. 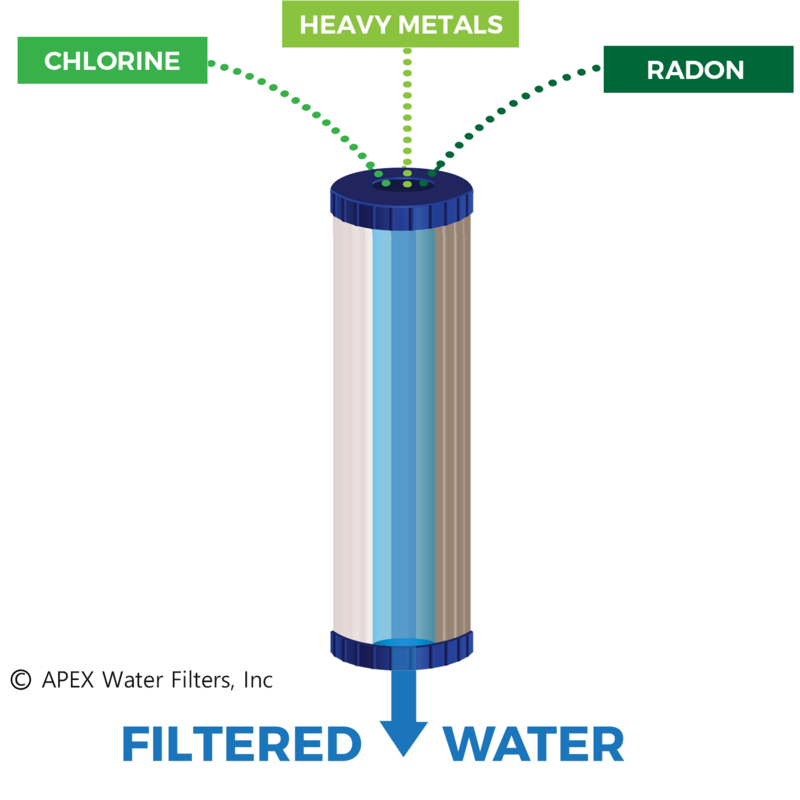 This filter will remove hundreds of contaminants from water. Significantly extend the life of granular activated carbon while protecting the carbon bed against fouling by bacterial growth. Effectively remove chlorine and heavy metals and control microorganisms. 20″x 4.5″ solid carbon block cartridge to absorb heavy chlorine byproducts such as chloramines, THM, and TCE. The double carbon briquettes filter out organic matter from water without the release of carbon fines. Also, this carbon block removes volatile organic compounds (VOCs), insecticides, pesticides and industrial solvents.